Using color effectively in all kinds of imagery is a great tool to enhance your non-verbal or written communication. Businesses, entertainers, marketers, the media, and so on use these to gain our attention and to convey their message quickly without us even knowing it. Color that is used in a familiar context can be quite effective at building brand identity by creating a comfortable environment for the customer. Thus, getting across a message to prospective consumers is much easier. So, how does this all work? Let us start off by taking a look at the common meanings for different colors. These meanings are very typical for western culture and may vary based on the culture to which you are visually communicating. Variations of these colors as well as combinations of them have an effect on how you perceive the message. In addition, colors that complement one another, when used effectively, can combine the communication effects of color. When using color, you must always think of the context in which you are using it. For example, if you are selling your home and you have decided to give it a fresh coat of paint, it is best to look to neutral and earth-tone colors. These colors convey a message of wealth and richness. Bright, flashy colors, such as pastels, do not typically sell houses. There are exceptions in the tropical and subtropical climates, but as with every example, there are cases in which it will not fully apply. Let us take another example. Let’s say that you are furnishing your new baby’s room. You would want to go with bright colors and entertaining themes. These bright colors stimulate a child’s mind and positively affect his or her happiness. According to some expert sources, some colors can affect your baby’s mood, behavior, and even feeling of well-being. In marketing, companies will use color in their logos and in their messaging to influence buyer decisions. They use color in their logos, designs, and ads to influence buying decisions. The intent is to change your mood or your feelings toward their brand so that you will make a purchase. Take a look around you next time you are in the store. Identify what colors attract you, and think about how they make you feel. You will be surprised by how much thought is given to color. One of the best color coordinators is nature. When seeking complimentary colors, look at the natural world, your environment. As you will notice, the colors that we see are not exact or standard hues. In addition, colors are typically a gradation of color, that is, things are not monochrome. Therefore, you need to closely inspect the color combinations in order to ensure a natural complement. Another awesome effect that occurs in nature is the ever-chaging color of our environment based on lighting and seasons. Take advantage of these variations when choosing colors that communicate. Remember that much of our communication is non-verbal, therefore, use these color choices in your clothing and accessories. Depending on your age range, your choices of color will typically change. For example, children will gravitate to reds, yellows, and oranges whereas adults will gravitate to greens, blues, and purples. As we get older, social acceptance for color preferences changes which may strongly influence our color choices. Therefore, if we are given the societal message that, “blue is for boys,” grown men are not going to say that their favorite color is pink. Even women see the color pink as a color for young girls and, therefore, shy away from this color. It is fun to learn what colors are used most in marketing. The type of product being sold can strongly influence the color choices. For example, red is the most common color for beverage logos with blue running a close second and purple being the least common. Next time you are designing something, think about the color choices that you make and why you are making them. 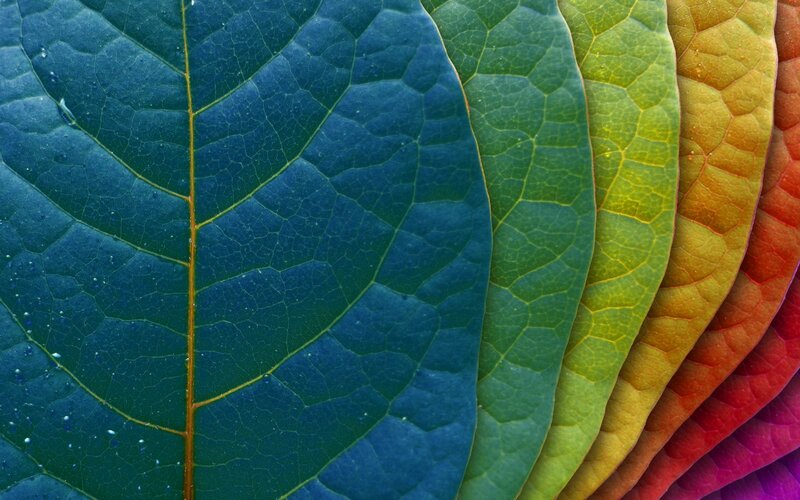 Use nature to inspire color combinations to help you effectively communicate your message.